Patricia Harkin teaches and writes about cultural studies and rhetorical history. Her current research concerns articulation theory and the rhetoric of John Quincy Adams. She is author of Acts of Reading, and co-editor of Contending With Words: Composition and Rhetoric in a Postmodern Age, which received the Nancy Dasher Award. Her work has appeared in Pre/Text; College English; Rhetoric Review; College Composition & Communication; and JAC: A Journal of Composition Theory, as well as in several collections of essays. 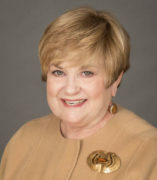 Harkin is the Chair of the College Forum of the National Council of Teachers of English.